If you have a large and active family and are looking for a ride that won’t compromise on style, safety or comfort, the 2017 Toyota Sequoia was made for people just like you. Here we will look at some of the many reasons why you’ll love your new Sequoia. Getting your gang wherever it needs to go will never have felt better, as this spacious 7-8 seater will make every drive relaxing and comfortable for all on board. Every seat has been ergonomically designed; the driver’s seat features 10-way power adjustability along with both lumbar and thigh support, and the 3-zone climate control system ensures that everyone is comfortable. A cabin air filter keeps the air free from dust and other particles, there are storage spaces everywhere you could want or need them, and you’ll have up to 18.9 cu. ft. of cargo space behind the 3rd row seating. From the 6.1” touchscreen audio display and fully enabled Bluetooth functionality to the standard backup camera, the 2017 Sequoia is designed for modern drivers who want it all. SiriusXM Satellite Radio ensures that your favourite tunes are always at hand, Advanced Voice Recognition functions let you make calls and change the music hands-free, while the Dynamic Laser Cruise Control adjusts your speed automatically to maintain a safe distance from vehicles in front. The Limited and Platinum models also come with SMS-to-speech and Email-to-speech capabilities. The 2017 Sequoia comes backed by a powerful 5.7L i-FORCE V8 Engine that offers an impressive 381 horsepower, an epic 401 lb/ft. of torque, and a more than handy 3,220 kg towing capacity. You also get Dual Variable Valve Timing with Intelligence, Sequential Multiport Electronic Fuel Injection and an Electronic Throttle Control System with Intelligence, while One-Touch 4WD ensures that your ride is ready for any and all adventures. The Sequoia employs a huge range of safety features to ensure that you and your passengers make it home safely from every mission. A suite of 8 airbags have been positioned throughout the vehicle, Front and Rear Clearance Sonar make everything from parking to navigating narrow streets easy, while Toyota’s Star Safety System is in full effect. This award-winning system boasts six driver assisting functionalities, which include Brake Assist, Anti-Lock Brake System, Traction Control, Electronic Brake-force Distribution, Smart Stop Technology and Vehicle Stability Control. The 2017 Sequoia is proof that large vehicles can be stylish too. Everything from its wide stance and bold grille to its roof rails and running boards have been designed to make an impact, while its reflector style halogen headlamps and power moonroof ensure that this a ride you won’t soon forget. There are even 7 ultra-modern colours to choose from, including Blizzard Pearl and Sizzling Crimson Mica. 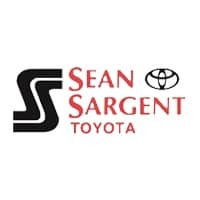 Finding a vehicle that suits your wants, needs and budget is easy at Sean Sargent Toyota, because we have one of Canada’s best selections of quality new and used vehicles. So if you are tired of being let down by your current vehicle stop by and test drive something special today here at 10625 117 Ave Grande Prairie.